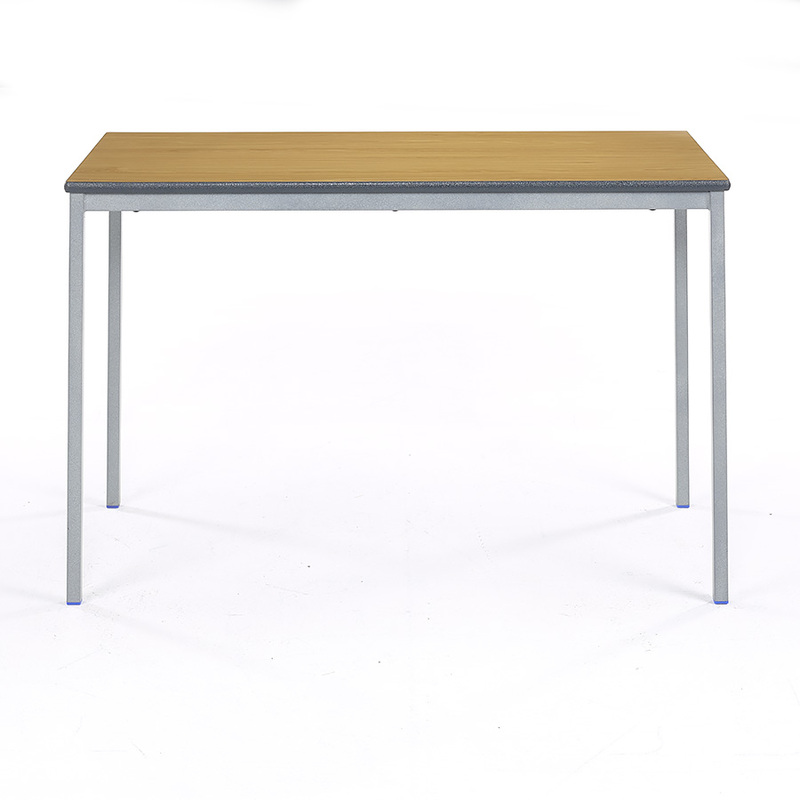 Our fully welded rectangular classroom tables are supplied in packs of 3. 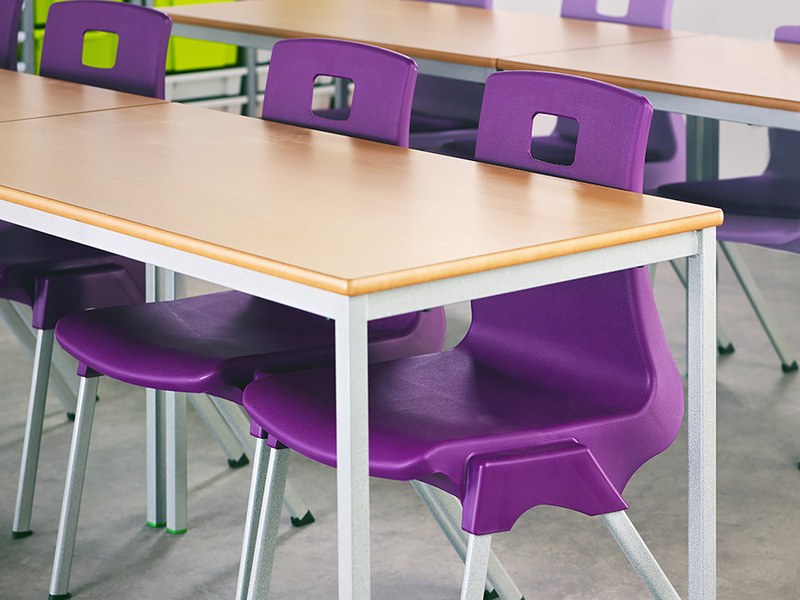 They are traditional classroom tables with a premium quality finish and are suitable for use within schools, pre-schools and nurseries. The rectangular classroom desk is available in 2 tabletop sizes: 1150mm x 550mm and 1200mm x 600mm; as well as 6 heights for different age groups from 3-14+ years. 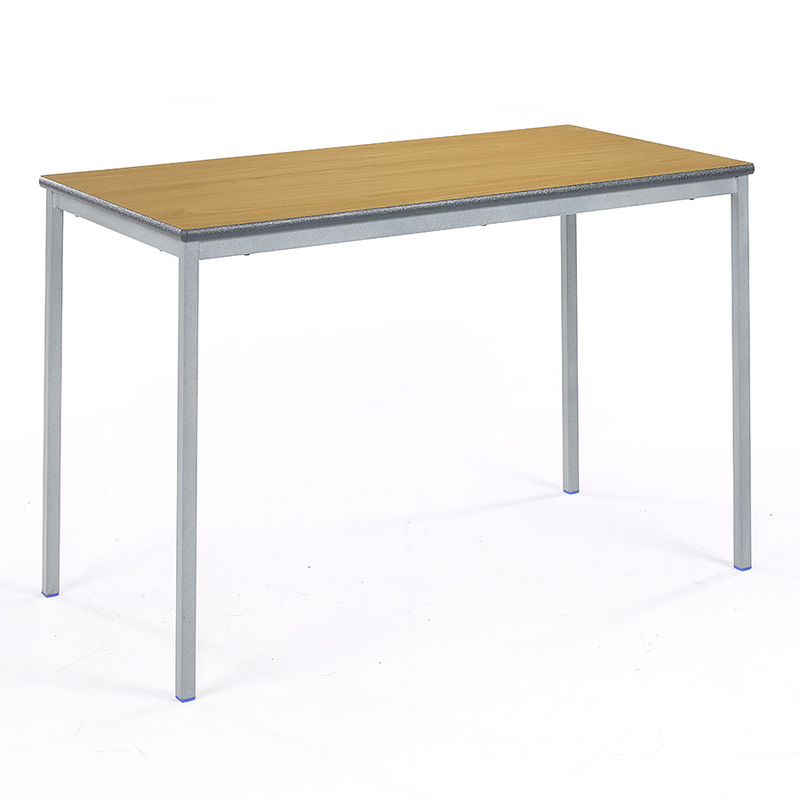 Each table has a fully welded steel frame with a durable speckled light grey finish and a hard wearing 18mm MDF top with a high pressure laminate finish. Laminate is available in 10 colours. 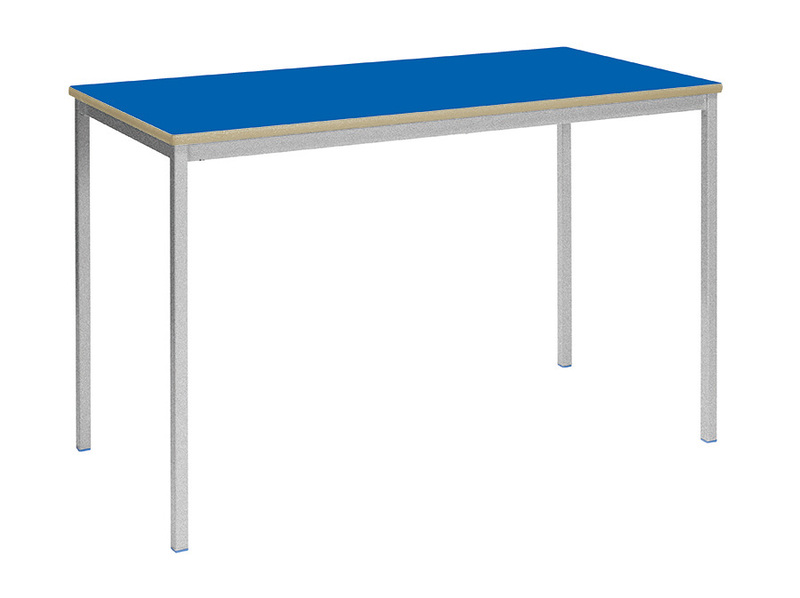 The rectangular table top has a textured spray PU edge which is ideal for any high-use educational environment and is available in 3 colours, light grey, blue and charcoal. 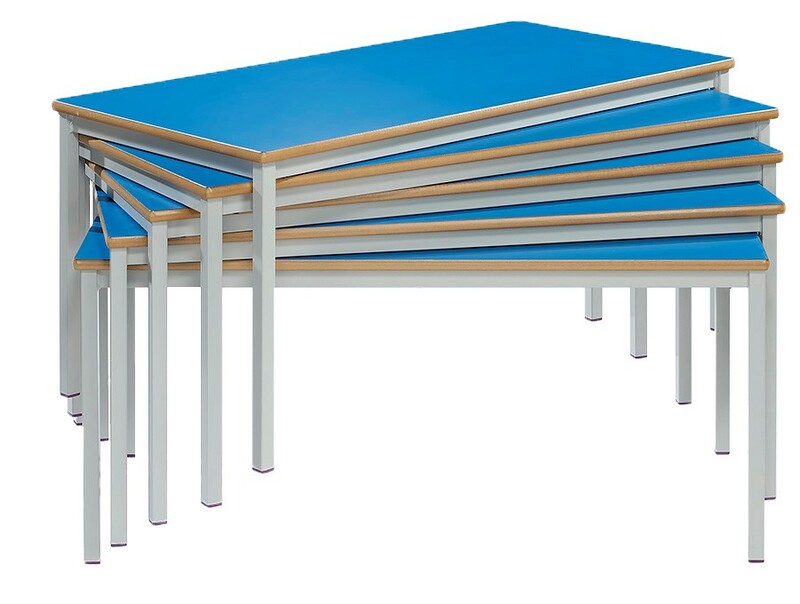 Our fully welded range includes Square, Trapezoidal, Circular and Semi-Circular shaped tables which can be used together to create different shaped table groups.